St Petersburg is even more magical in the winter months, with its beautiful buildings and royal palaces all dusted with snow. 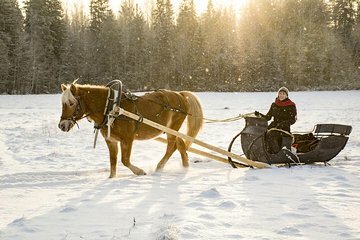 On this tour, experience the city’s winter wonders on a guided city tour, enjoy a horse-drawn sleigh ride through the royal parks of Yelagin Island, then warm up with a vodka tasting at the Russian Vodka Museum. In the afternoon, escape the cold for a tour of the world-famous Hermitage Museum.